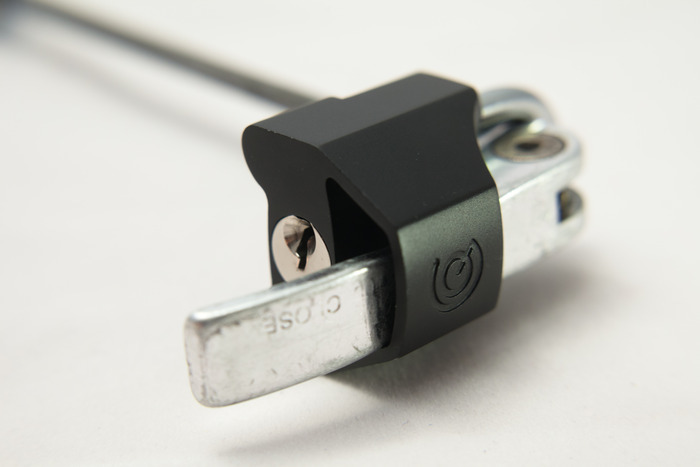 I’ve just pledged the first Mombee Kickstarter support for Curtis Dorrington, a local (Bristol) designer who has produced a simple lock to stop people opening a bicycle wheel’s quick release. It’s a neat idea that should stop someone nicking your wheels, which is a worry when in town or commuting, and inevitably means carrying extra cables to wrap round your wheels. Take a better look at Kickerstarter Quick Caps.